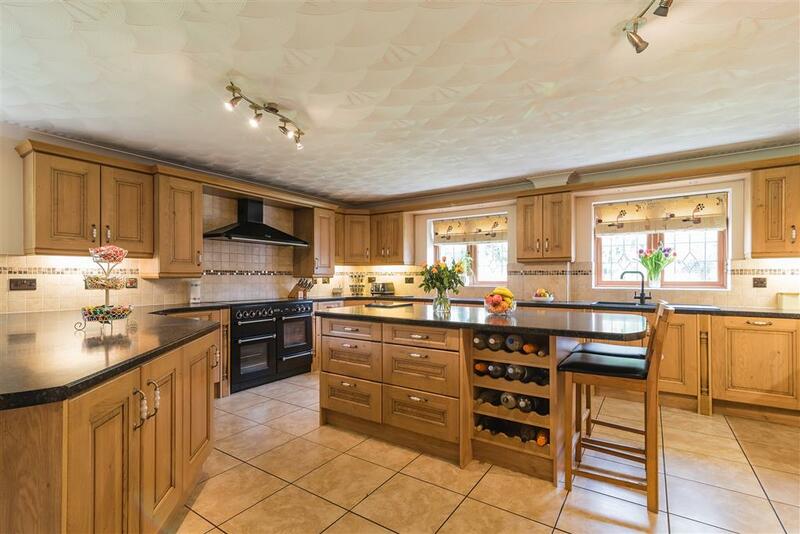 A substantial well-presented detached six bedroom family home built by the current owners, located in the sought after market town of Sleaford. 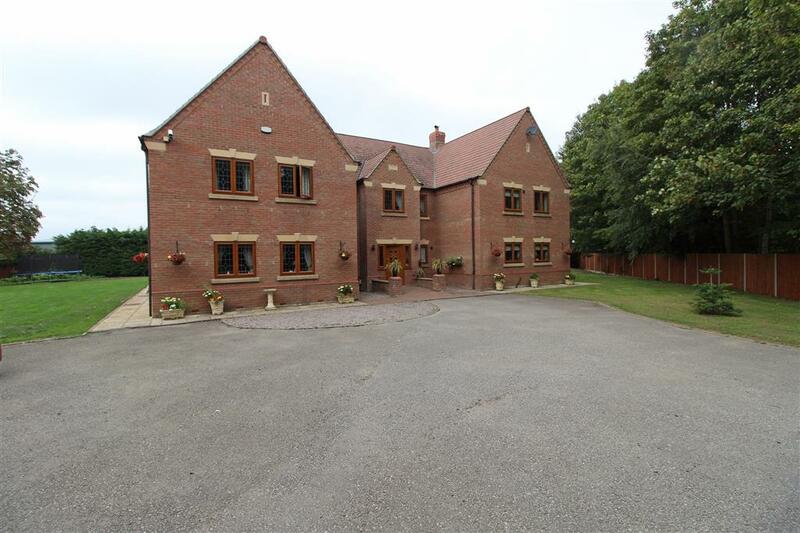 It is situated on a large plot with a good sized family garden & double garage, indoor swimming pool and an outside hot tub. 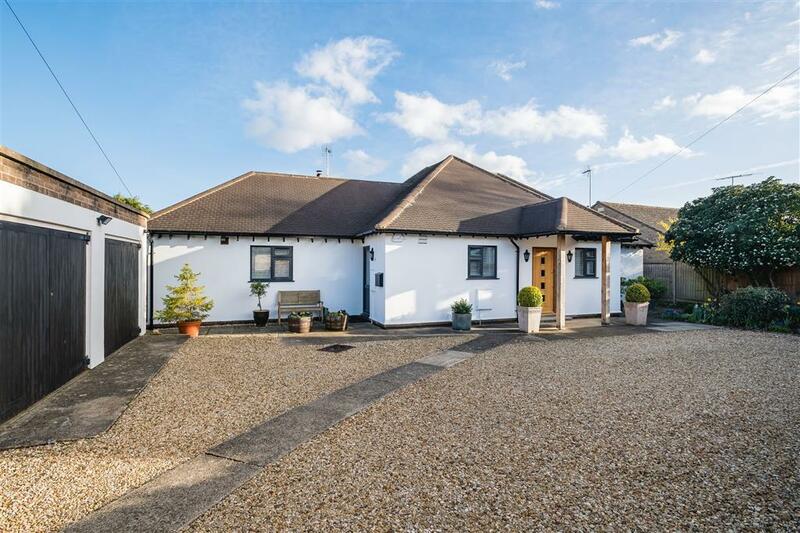 A substantial well-presented detached six bedroom family home built by the current owners, located in the sought after market town of Sleaford situated on a large plot. 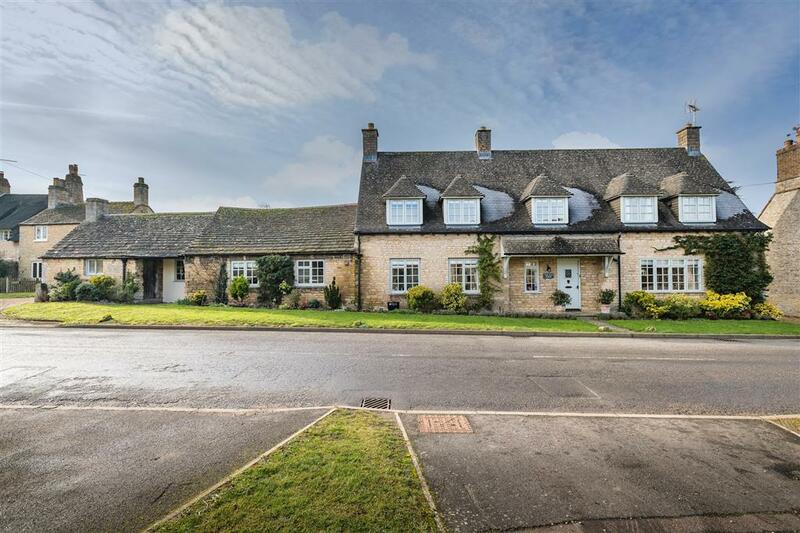 The property briefly comprises; entrance hall, kitchen / family room, utility, dining room, lounge, snooker room, six bedrooms three of which feature ensuites one with a jack & Jill bathroom, swimming pool and outside hot tub. 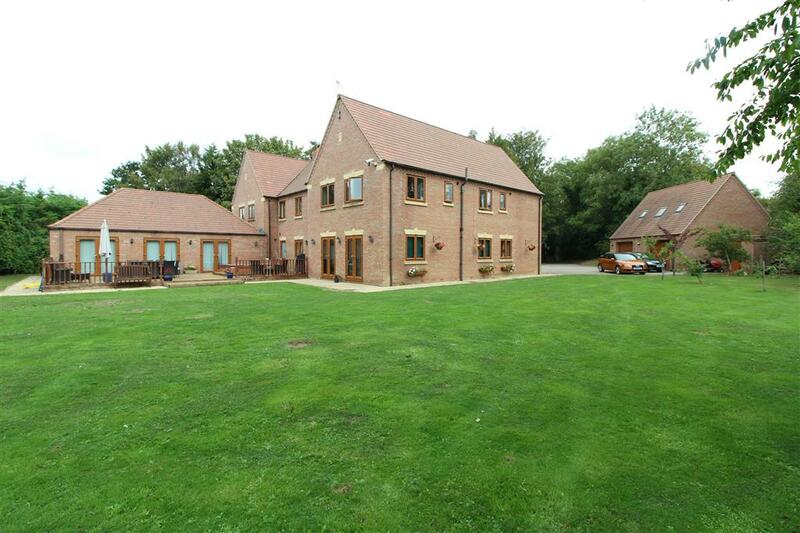 Outside the property has a good sized family garden and double garage. 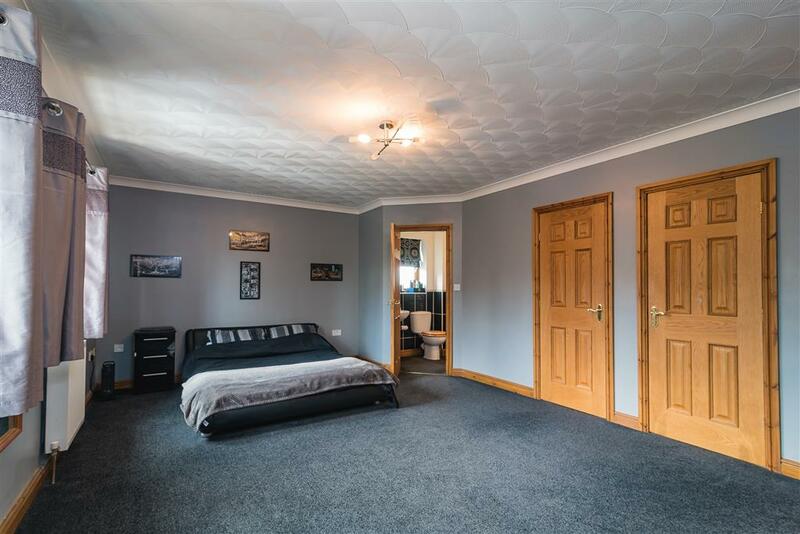 The property is entered into a good sized hallway with underfloor heating to the wooden flooring throughout, doors lead to the ground floor accommodation including a downstairs cloakroom and utility room while stairs lead to the first floor. 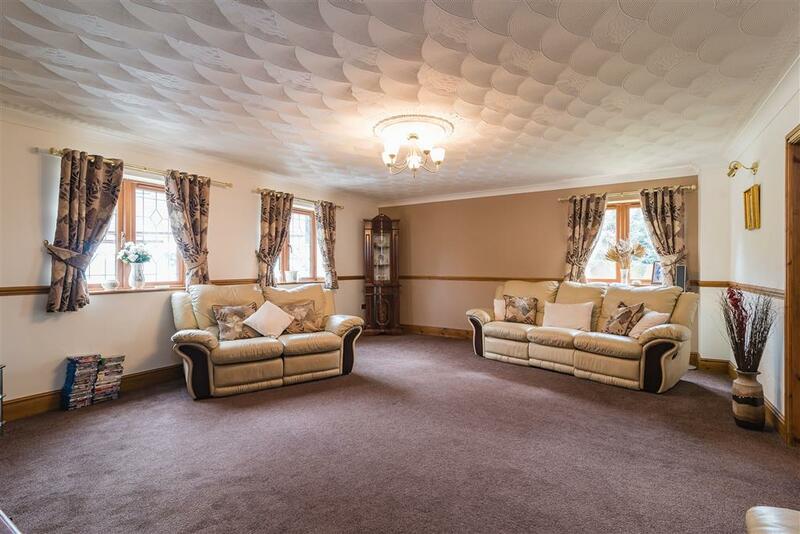 The living room sits to the front of the property with windows overlooking the front & side aspect. 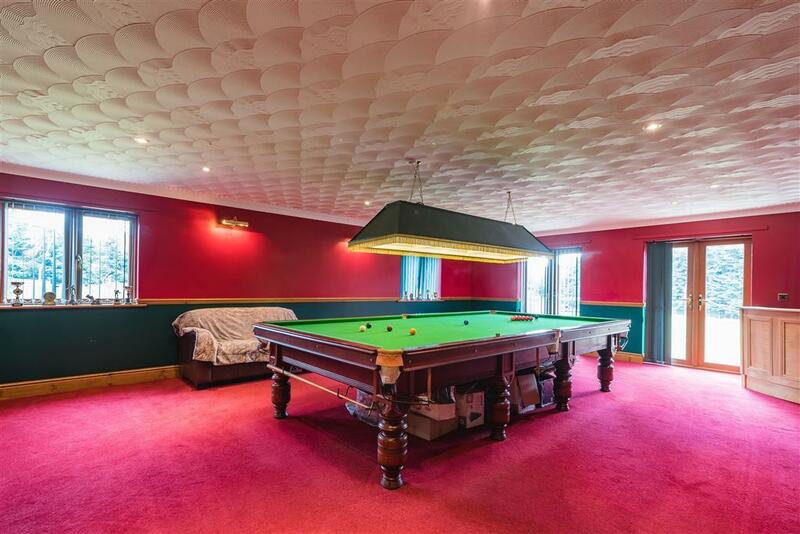 Double doors lead to the games room which features a full size snooker table with two sets of double doors out to the garden. 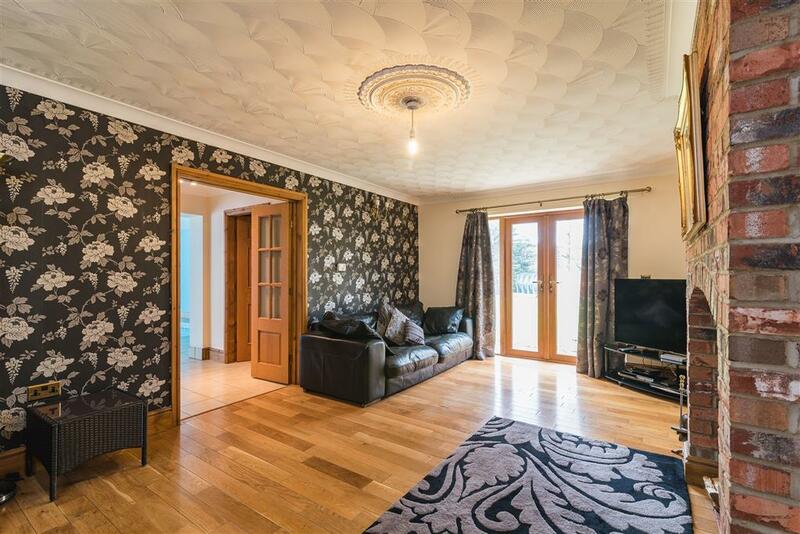 A dining room which is central to the property offers views out over the garden with windows and double doors out to the decked seating area. 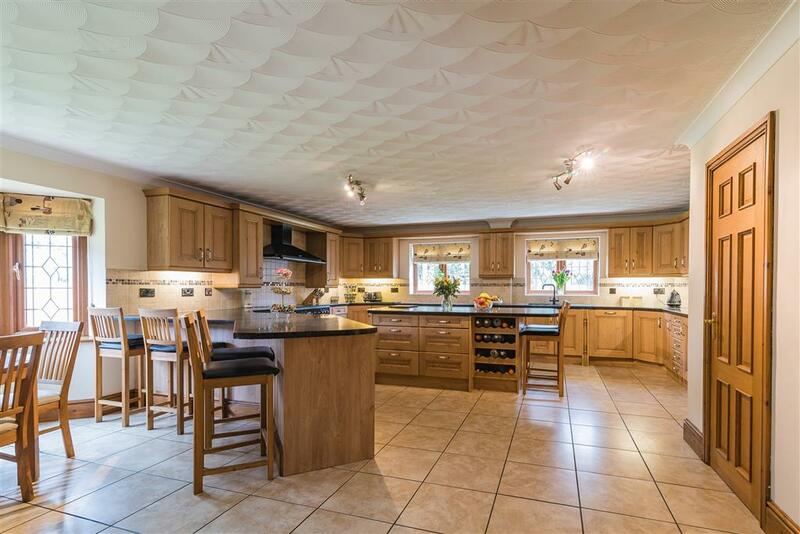 The kitchen / family room is located to the right of the house with tiled flooring throughout and fitted with a range of base and wall units with work surfaces over, integrated appliances include; dishwasher, range master oven & microwave, matching Central Island to the kitchen area. 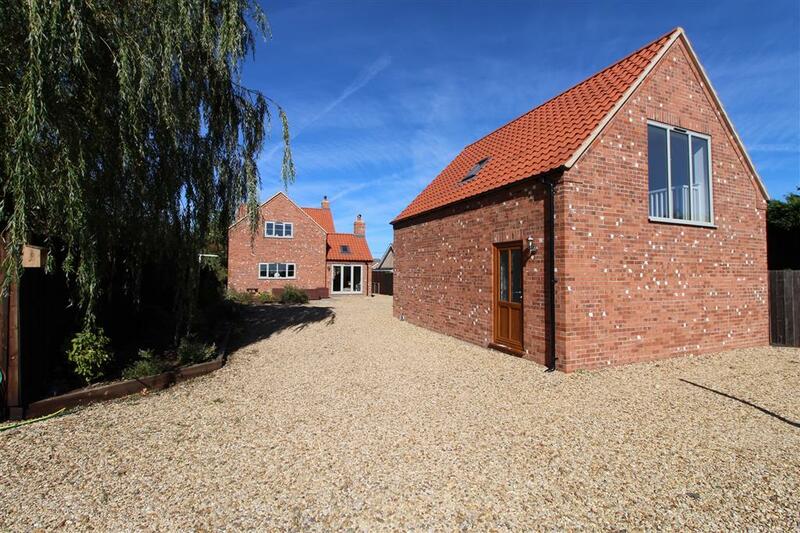 The family area is to the rear of the kitchen with wood burner set in brick surround and double doors out to the side. 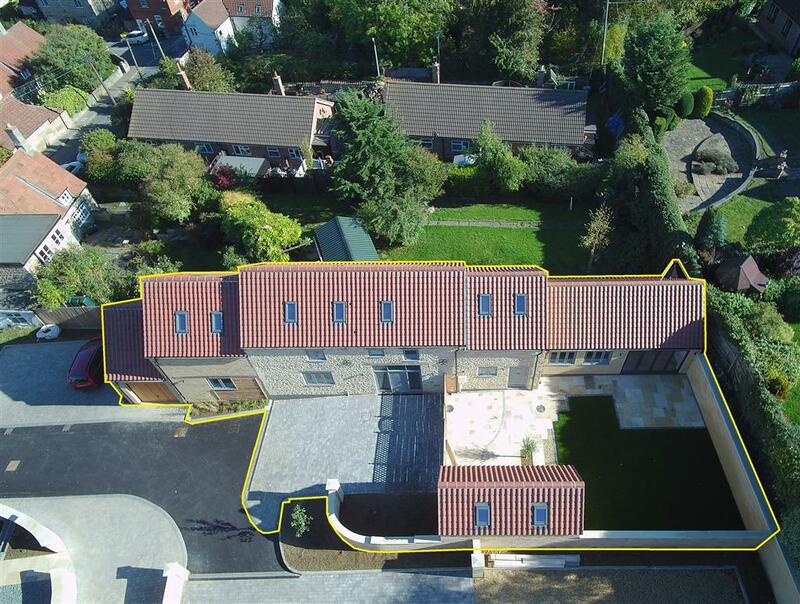 Access from the family area via double doors leads to the indoor swimming pool which benefits from a downstairs shower room and double doors out to the decking area. 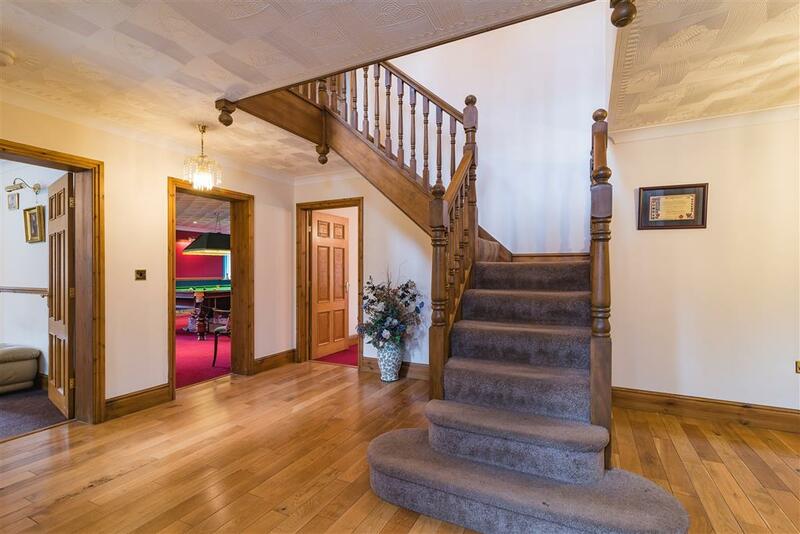 Stairs lead to the first floor accommodation with the master bedroom to the rear of the property and windows overlooking the garden and access to the ensuite bathroom with Jacuzzi bath and a walk in dressing room. 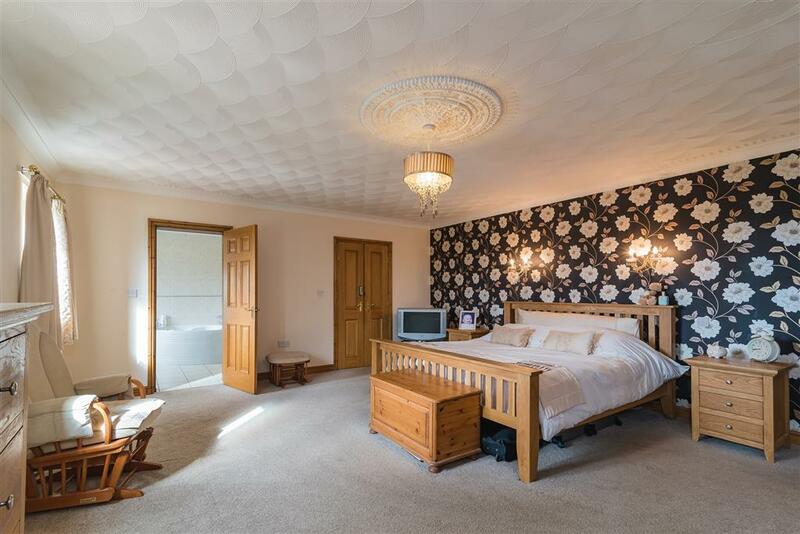 Bedroom two is to the front of the property also benefits from an ensuite bathroom and built in wardrobes. Bedrooms three & four both have built in wardrobes and benefit from a 'Jack & Jill' ensuite. 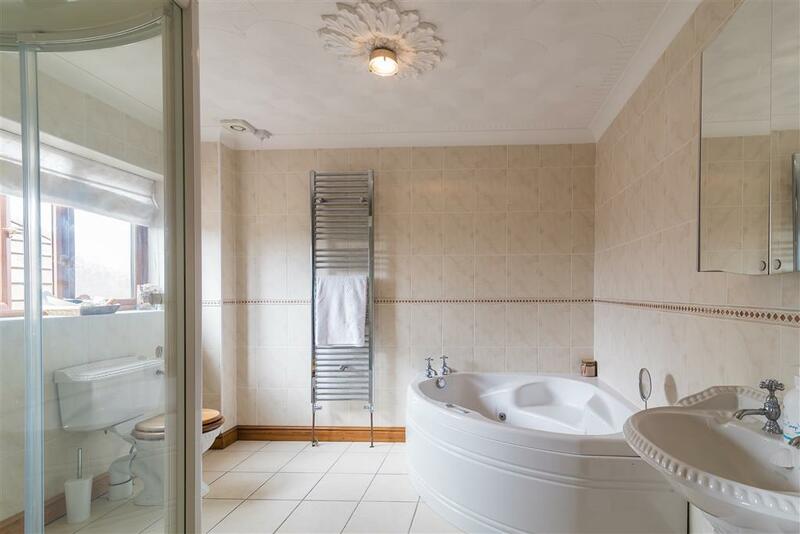 Bedroom five also offers an ensuite bathroom with storage while bedrooms six is to the front. 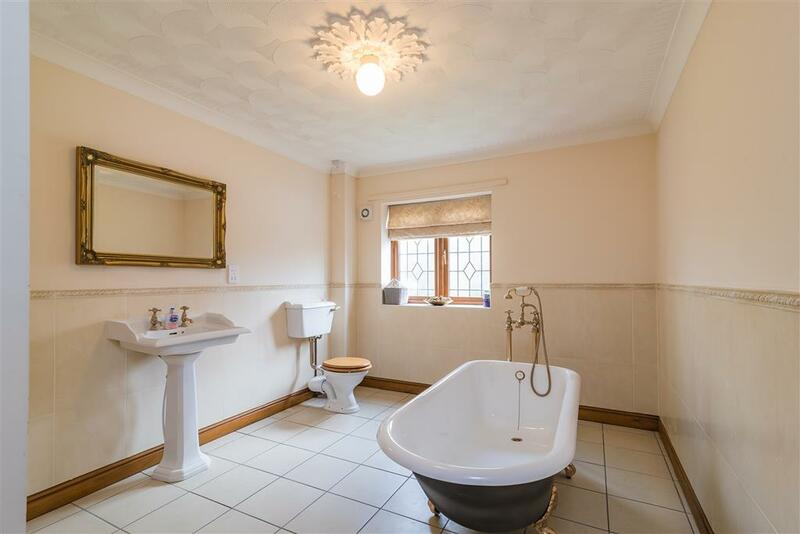 A family bathroom fitted with a four piece suite including claw footed bath. 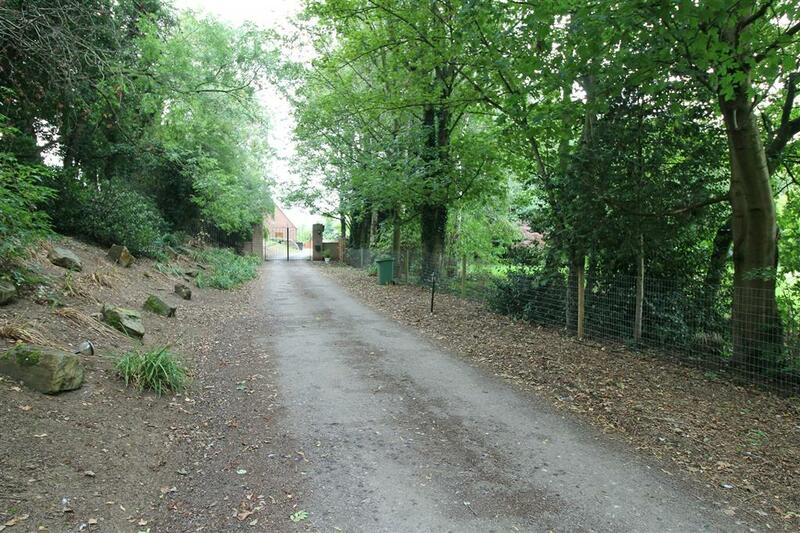 The property is situated on a good sized plot with mature trees and benefits from a double garage. The rear garden is mainly laid to lawn with raised decking area. 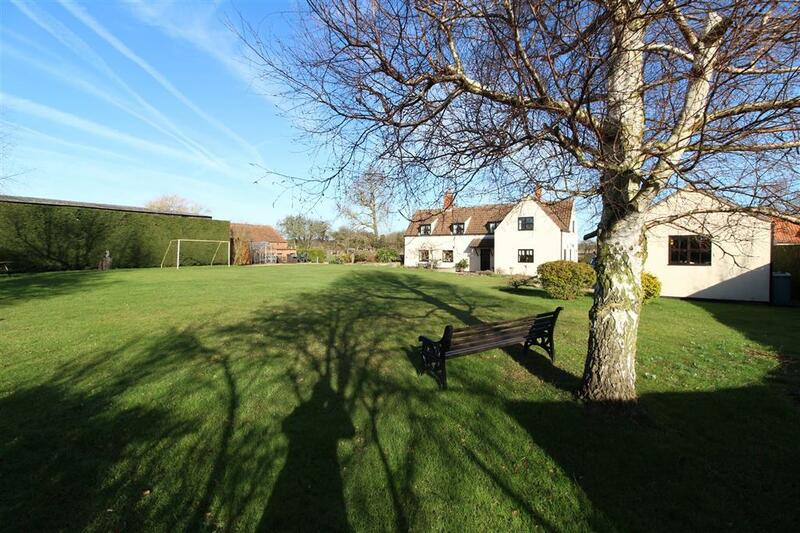 Sleaford is a Historic market town; bustling with community and country life. The listed Market Place hosts monthly farmers markets, carols under the tree for the Christmas lights switch on, Summer and Winter Church Fayres and traditional remembrance events. Arts lovers will be spoilt with The National Centre of Craft & Design Exhibitions, The Little Theatre , Art Galleries, antiques and The Sleaford Museum. Keep fit in Sleaford with our Eco- run state of the art pool & leisure centre, Sleaford golf club, tennis club, Bowls, Rugby, football, gym & dance and two affiliated running clubs. Two Doctors surgeries, Dentists and an urgent care centre, coupled with highly rated Boys and Girls Grammar Schools & primaries & a library keep us healthy and well educated. With four major supermarkets and every type of shop and restaurant/wine bars this is a wonderful place to live. The Cathedral city of Lincoln & University and Stamford are easily less than an hour away. Connecting trains from Sleaford-Grantham have you in London in 70 minutes.